Ace Hotel New York and Residency Unlimited (RU) present Artist Brunch Chats — a series of intimate and low key discussions in the Ace Hotel New York Lobby Bar in New York. These open-format meetings serve as a dedicated time and place for artists to engage with new communities, old friends, and everyone in between. This month's guest is the Australian artist Lauren Berkowitz, who will discuss her practice that explores the poetic and sensory resonance of materials and their transformative qualities through light, volume and space. No microphones or stages; just people who love art sharing space and time on a couch by the lobby photo booth. Berkowitz recycles everyday post consumer waste into intricate hybrid environments, weavings and patchworks. 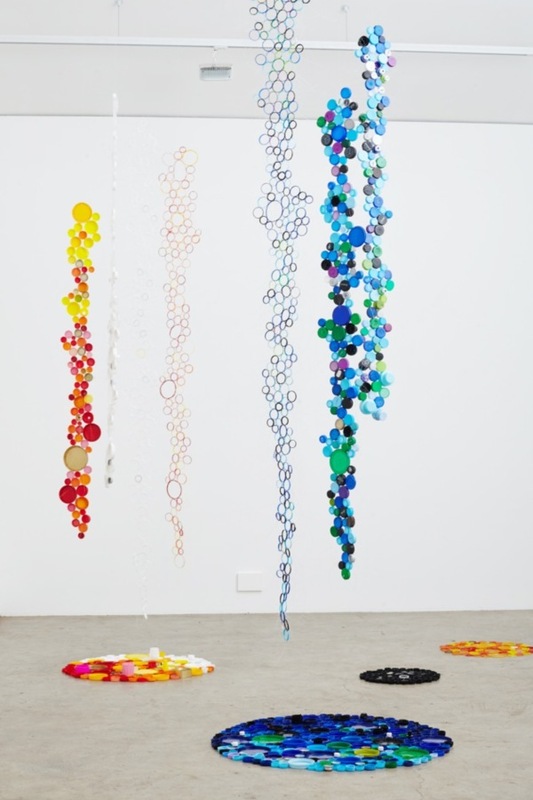 Her recent artworks are constructed from repurposed plastic products, collected by a community of family and friends. 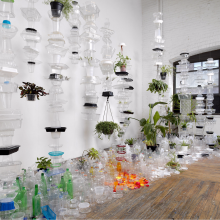 Berkowitz’s work also incorporates plant matter that she accumulates or grows, referencing the passage of time together with the cycles of life. In past works plant debris was often gathered seasonally, whilst in recent works such as “Fragile Ecologies” colored bottle lids still bear traces of the use- by- date. 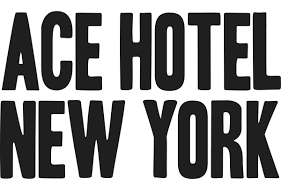 This program is generously hosted by Ace Hotel New York.